The common grey house spider, Badumna longinqua, is an Australian import, and probably the most commonly seen spider in New Zealand. 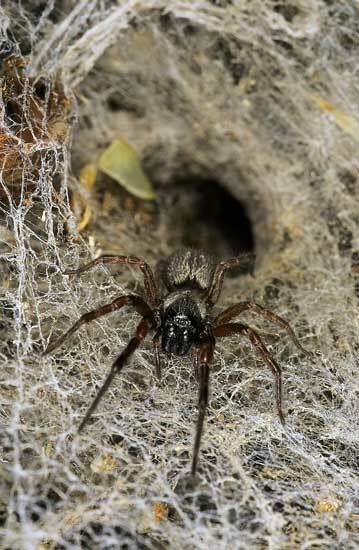 It builds a circular retreat and its web radiates out from its hiding place. This female has rushed out to see what is plucking at her web.